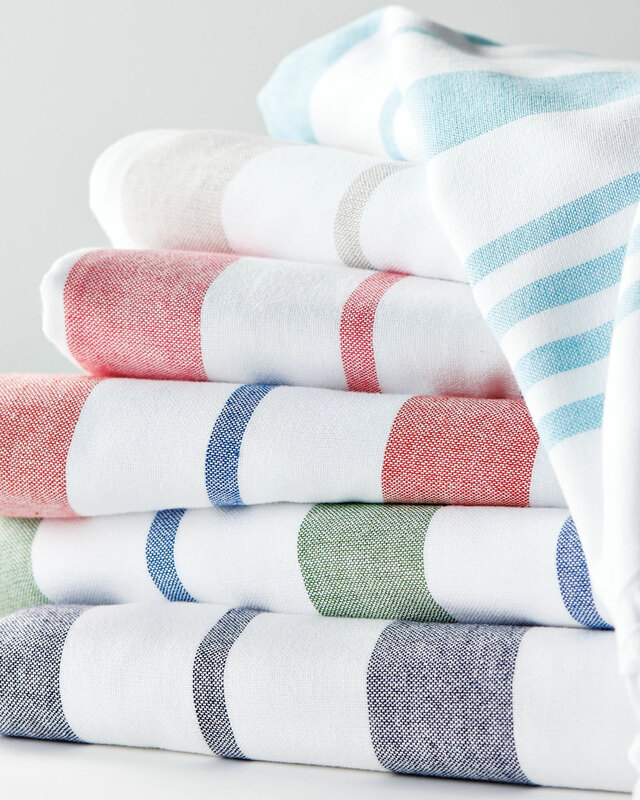 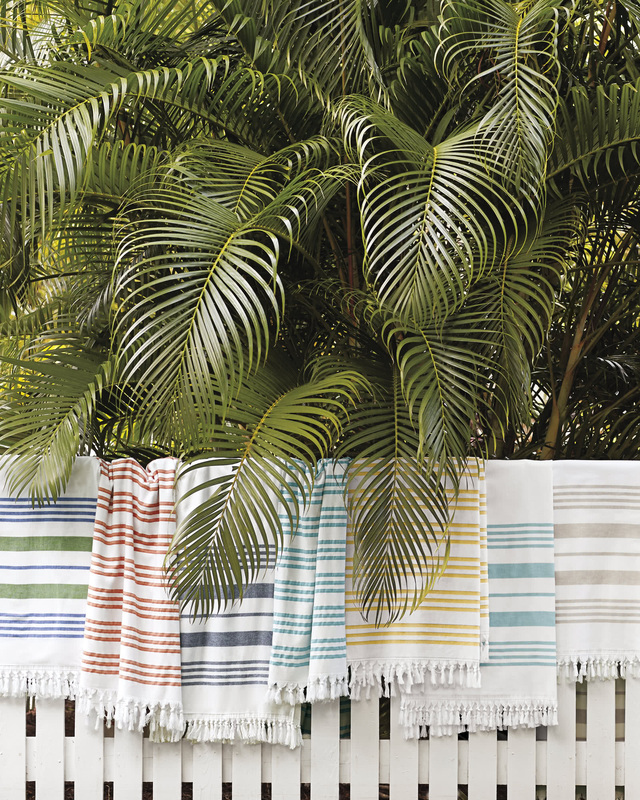 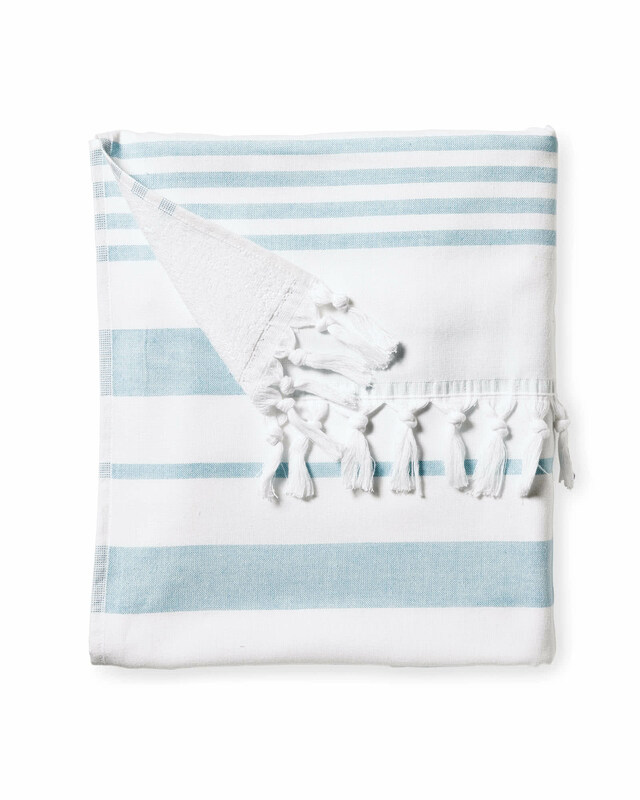 Fouta Beach TowelsFouta Beach Towels, alt="Fouta Beach Towels, "
Print Woven in the tradition of fine Turkish towels, our version combines smooth cotton on one side with looped cotton terry on the other for added wicking. 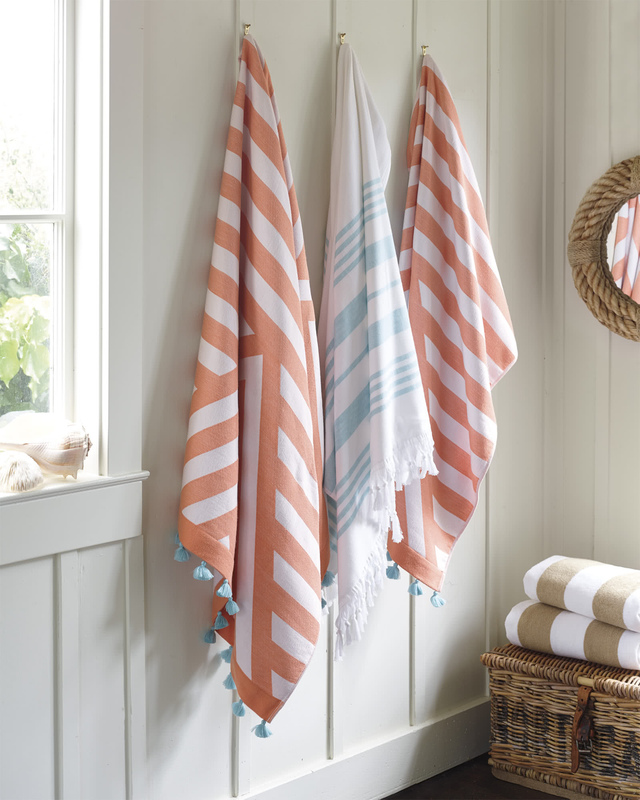 The generous size is a luxury; stripes and tassels bring a sense of style to the bath. 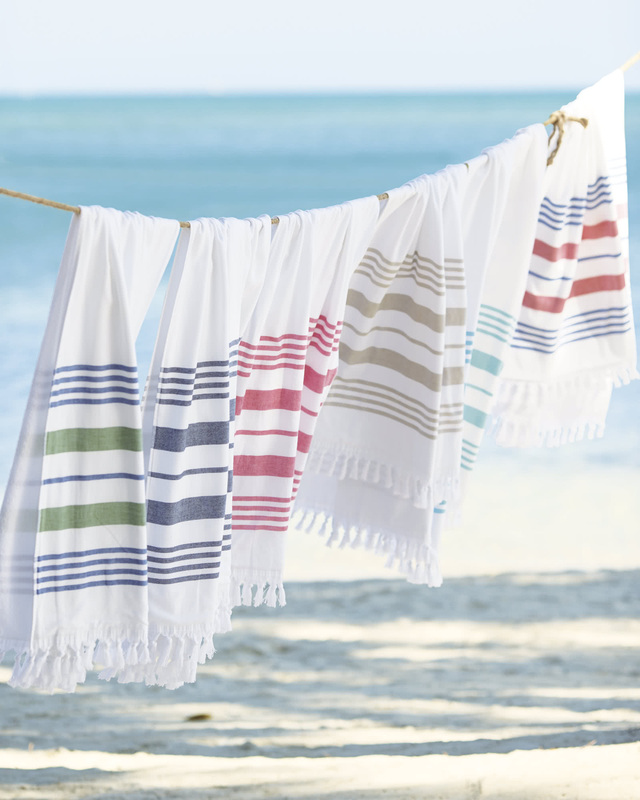 And it gets loftier and more divine with each wash. At 425 grams, it's just the perfect weight and absorbency for those trips to the beach.